Recommended engine shops in the dallas area? I'm needing my motor rebuilt for my 90 gsx. I have everything I need, I just need to find a good shop that knows about dsm's to build it. Preferably one that isn't over the top expensive. I only need the short block built. I would rebuild it myself but this is going to be a race motor and I would rather have peice of mind. Any help would be appreciated. Thanks in advance. PRT Performance.com, Paradigm Racing and Technology = O.K. to be honest. Mudpit Performance = ?? ?hear GOOD & BAD things about them??? :: Alamo Autosports Home page = GREAT! & top A+ service. Wayne Calvert Precision Engines = TRUSTED "big & small V8" & other Builds since forever! I personally would not take it anywhere else, but these guys on my machine work. They will tell you straight & to the point, if it will work or not. PRT or a trusted machine shop are the only places I would use on that list. Also ordering a crate motor from a vendor is a great option. Appreciate the links! Ill check out the places. 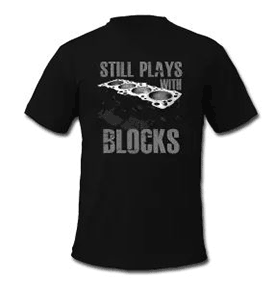 I would rather not get a crate motor (although it would be pretty cool to be able to just drop a motor in) since I already have a new block, new crank, forged pistons and rods. I still need to get head componets and cams for the power I want though. Are either one of you in the dsm Texas and meets Facebook? Some of those places listed above use Watts machine shop. Thats where mudpit had my machine work done and I believe Fp use to use them ehen they worked on cars. I wouldnt be supprised if thats who steve uses. Watts is probably what you consider over the top expensive. I have also heard great things about calvert. Watts shop is where I was considering going before I posted this. I was also thinking T1 for tuning. Its more pricey but I've heard great things about Tony and his tuning. There is a machine shop in terrell also that a few guys use. What are you using to tune? I'm taking my short block and head to get built at watts shop. Just wanting piece of mind with my motor. Considering it will be seeing quit the abuse once its broke in . I'm eventually going to buy ecmlink v3. Yes, I am with everyone else. Good luck on who ever you choose to do your work! Obviously your opinion is completely based off what you read on the internet and you have no first hand experience with any of the shops you listed. Steve at prt does not build motors.He is the man i refer all tuning and fab work to after i closed to the public. Mudpit is no longer open to the public. Alamo uses automotive machine in fort worth. I have never been pleased with their work, in fact i have never received a head from them that was milled parallel to the caps. Scott at fp is not available to the public nor is his machine shop in whitewright. The Denton boys use Calvert. I do not have an opinion, i have not used them. Watts is who i use. I have tried 15 or so shops in the dfw area over the years and have built around 75 motors. Watt is the only one who has met my specifications for machine work. You should rethink your first sentence & everything else. I have read what is on the web & off, so that is why I chose to see for myself. I have used all of them and others for different projects. I have plenty of built experience. You should just sit back....I obvious known that some of the "Names" given are no longer in service, but will choose to give the opinion & choice to those that do not know. ................ .............. , whatever floats your boat. Uh oh. I'm going to go get some popcorn. This is going to be good. Chris in Ft.worth does good work. He works out of his home and on the side. Damn good though and has a couple of High Hp motor he built running around. All the work he has done for me is top notch and alot of people vouche for him. I have had two n/a 2gs come through my shop in seven years. You are not one of them. Still following me everywhere making up bad reviews i see. I am flattered you still think of me. Removing you as an admin after i bought your forum has nothing to do quality of my work. You seem to understand that over the phone but apparently not on the internet. The internet would be a better place if people only posted content that they had first hand experience with. Still following? Not hardly, this is a DSM forum and, if I recall correctly, I am still a DSMer and get on here almost daily to check out the Custom Fab forum. You're correct, it does not. It has nothing to do with the tune you did on my car. If I recall correctly, you dyno tuned my car and the next weekend I took the car to the track and the car ran like complete crap. Spitting and sputter and knocking like something fierce. I was lucky to have not blown my motor that night. As for the welds you did on the piping, I will just assume you have gotten better over time. I agree 100% on first hand experience. I have never said anything about any shops unless I have had first hand experience. Hence the reason I quote the other person saying they had heard good and bad about your, now closed, shop. sh** just got real. Though it does make for awkward moment and I'm just passing through reading . But I will add this I've based most of my shop choices from what I've heard or read about them. Be it good or bad, not from first hand experience. Cheers!! BrianK worked/works on my car and never had a single issue out of him. Anyway my vendor status won't let me partake in the sh** stirring. Man, and I was looking forward to what you had to say. Keep swinging on them nuts. I still have not got this shortblock built either. "Michael at FP" I've heard your name come up in various conversations just like that . You seem to have a really good rep.
Eh, it is what it is. What I do find funny though, it my dealings with Brian Koch were with myself and him, and yet you feel the need to, almost, speak up about it. I stated that I was not happy with my dealings on his tune that he did and left it at that. Someone posted up and I stated my persoanl opinion on mudpit performance and that I was not happy with a tune that could have blown my motor. Where were you in these dealings?